FOR IMMEDIATE RELEASE – August 5th, 2015, Los Angeles CA: When writing screenplays, all aspiring screenwriters face a challenge in building their hero’s journey large enough to fill the big screen. Authors who want to gain those skills necessary for mastering movie storytelling should attend Eric Edson’s classes on screenplay writing at the upcoming STORY EXPO 2015, Sept 11, 12, 13 at the Westin LAX Hotel in Los Angeles, CA. The expo is billed as the world’s largest conference for writers from all mediums including screenplay writers, TV writers, novelists, and filmmakers. Attendees will expand their knowledge about the craft of storytelling, determine which medium is best for their story, and learn how to package and pitch ideas and scripts. 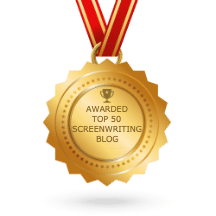 Edson’s final seminar, on Sunday, September 13, from 9:45 am – 11:15 am, covers “Writing Character Growth.” Learn how strong character growth attracts movies stars to your screenplay. Many writers fear tackling character growth, but once understood, creating it isn’t that hard. 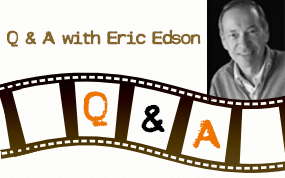 About The Story Solution: The Story Solution, by accomplished screenwriter Eric Edson, is an in-depth handbook for authors who are writing a movie script. It reveals the 23 actions screenplay writers use to create dynamic, three dimensional heroes. Visit the website at http://www.thestorysolution.com to download a sample chapter of the book. “Like” the Facebook page to receive screenwriting tips and insider insights on writing screenplays.